Multi Award Winning Team Patrick Leonard The Finglas Property Specialists are truly delighted to present this beautiful family home to the D. 11 property market. No. 170 McKee Ave is sure to impress first time buyers, families, investors and parties trading up alike. The very impressive floor plan consists of; Entrance porch, hallway, living room, kitchen / dining room and office / study. Upstairs there is a landing, 3 bedrooms to include large master and family bathroom. There is also a large attic offering additional storage. The many features of this lovely home include; Feature fireplace in living room, french doors from dining room leading to back garden, fitted kitchen with an abundance of base and eye level storage to include all appliances and fitted wardrobes in the master bedroom. The property further boasts double glazed windows & doors and gas fired central heating. There is a large garden and driveway to the front together with large side garden. To the rear is a private west facing garden with large decked area. 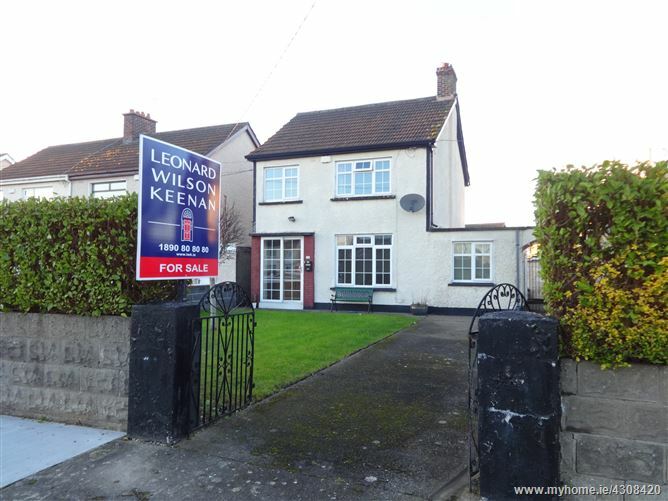 The location is second to none adjacent to a host of local amenities to include Finglas Village, excellent catchment of both primary and secondary schools, parks and recreational facilities. Furthermore The Charlestown Shopping Centre to include the new state of the art Odeon Cinema together with IKEA are quite literally on your doorstep. DCU is also within close proximity. There is an excellent bus service on your doorstep offering a QBC to The City Centre.